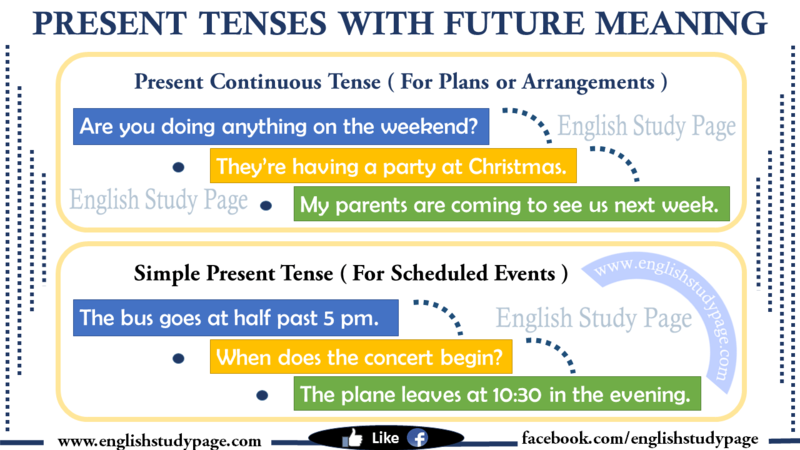 The present continuous tense is used for plans or arrangements related with future. 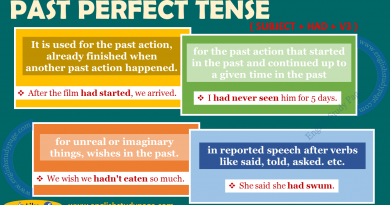 In other words, the tense is used to indicate whether or not an arrangement that you have thought about will happen in the future. Are you doing anything on the weekend? We are playing tennis tomorrow. Elizabeth is not dancing with her boy friend at the party tonight. 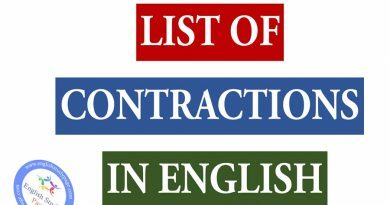 Sorry, I can’t wait you so much. I am going to the beach with Linda. They’re having a party at Christmas. I’m going to the doctor tomorrow for my abdominal pain. My sister is coming with us to the party tomorrow. She is not talking to the teacher after this lesson. They are meeting their son at the airport tonight. We are visiting our best friends this summer. I am flying to Tokyo next week. My parents are coming to see us next week. 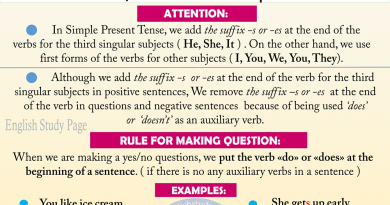 The simple present tense is used to express future events that are scheduled and arranged. We do not change the events. I leave London at 3 o’clock and I arrive in Paris at 10 o’clock. Hurry up! The plane departs in 5 minutes. There’s no need to hurry. The bus doesn’t come for another 15 minutes. She makes an appointment with Dr Thomas tomorrow.